One of the wonders of the telephone is that you can phone your boss and warn her that her husband is coming up and that the back exit is clear. 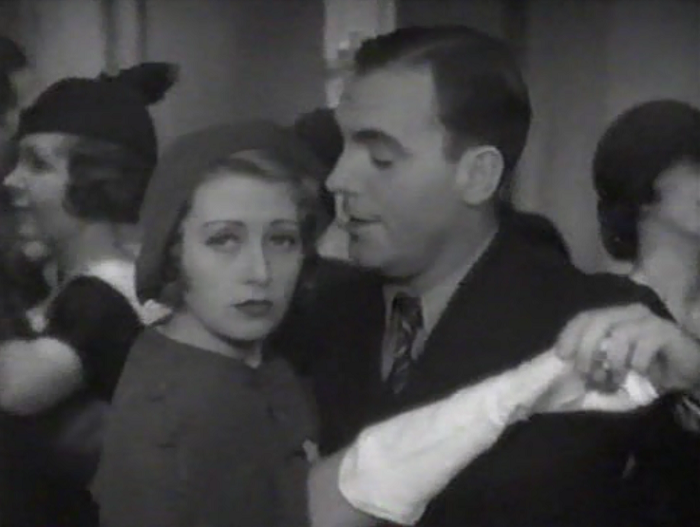 Pat O’Brien’s character has a fondness for slapping women on the hinder. The characters try and describe this, but get cut off before a certain euphemism for ‘hinder’ can be used. 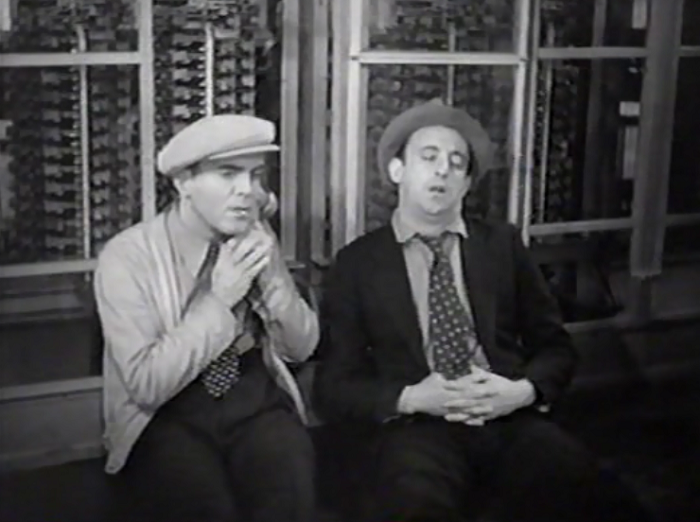 O’Brien and Allen Jenkins are called on to install longer phone cords in a very upscale brothel. They need the cords to reach the bed. One of the reasons I fell in love with the pre-Code era of film way back in 2010 is because, watching it, I could feel its moods and echos. The movies made in the early 1930s reverberated in the wake of the crash of 2008, feeling vital and fresh as many of their stories struck close to home. Hell, the movies of the early 30s often feel more relevant and human than most of their contemporaries. I mention this because I’ve Got Your Number reverberates surprisingly well in 2014, though not in a particularly pleasing way. It’s a movie about a new, surprising technology– the telephone– and about how its influence completely upended and shaped the world it entered. Today we have the smartphone, a device that’s redefining social interactions and connections, as well offering new innovations that send reverberations across the globe. When the movie’s climax relies on our heroes surreptitiously bugging phone lines to get the information they need, it’s depressingly uncanny. Telephone repairman, slouching their way across the city. The movie is about your typical lout telephone repairman. Warner Brothers protagonists of 1934 seemed to all be modeled around the James Cagney school: cocksure, maliciously playful, and just enough of a heart for you to root for him. Unfortunately, a lot of these James Cagney roles went to Pat O’Brien, who rarely landed that third piece of the pie. Sure, he could swagger the swagger, but when it came time for him to wise up and save the girl, it was also time for the eye rolling to begin. 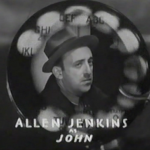 He plays Terry and goes through the daily grind of his job with his dim witted sidekick (Allen Jenkins, who else?). 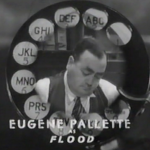 He keeps getting in trouble with his gruff but loveable boss (Eugene Pallette, who else?) 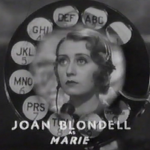 before meeting and falling for lovely switchboard operator Marie (Joan Blondell, who else?). 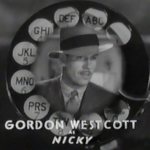 But when Marie gets swindled by the tricky criminal Nicky (Gordon Wescott, who… I’ve never heard of), it’s up to Terry to use his phone repairman expertise to bring the crooks to justice. If that sounds silly, it doesn’t have much on the film’s actual plotting. Terry’s so cool-tempered that nothing shakes him. He’s ordered to climb a building next to a fiery inferno and cut down the phone wires so they won’t melt. The building he’s on catches fire too, but that doesn’t stop him from cutting down a few spare electrical wires that are causing a mess and then jumping off the building into a firemen’s net. He gets up, shakes it off and walks away– he does it so confidently that it James Bond would be envious. What won’t a gal do for a good telephone. That moment characterizes the film to an extent as well, as it desperately tries to seem hip but strikes a note of silliness on every plot bend. Most of Terry’s early appointments echo this. He goes to a psychic’s house to fix a phone and find she has several illegal connections. He breaks up one of her seances (throwing the crowd into an uproar), but he’s so cool and so charming that Bonnie seduces him anyway. If I’m being a little hard on I’ve Got Your Number, I’ll relent for a second: it’s not bad, just disappointing. Like the dire Twenty Million Sweethearts and the similarly ‘off’ Havana Widows (both also directed by Ray Enright), it takes a talented cast and puts them in a story with a few good jokes but far too much dramatic flourishes. It’s got the pieces, but it can’t nail the tone. The main stumbling block is the romance between Terry and Marie. He wins her over by wearing her down, in this case by making her phone look defective and showing up as a repairman. When that ploy fails to win her heart, he throws her food off the table and offers to take her out to dinner to make up for it. It works! And it makes him look like a massive creep. Joan Blondell gets top billing for this movie, and I’m not sure that’s for the best. Marie is a puppet throughout the film. Whenever she tries to do a good deed or even do her job well, she’s trapped by the film’s villains. One depressing bit is how a group of robbers manage to snag $90,000 out from under her nose, which is shown in excruciating detail. Does it add to the plot? No. Is there tension that she’ll catch on? Nah, Enright doesn’t even hint at a lingering moment of suspicion. So we’re in a comedy with a ten minute diversion with no laughs for a heist that we know will go off without a hitch. It’s just sloppy all around. 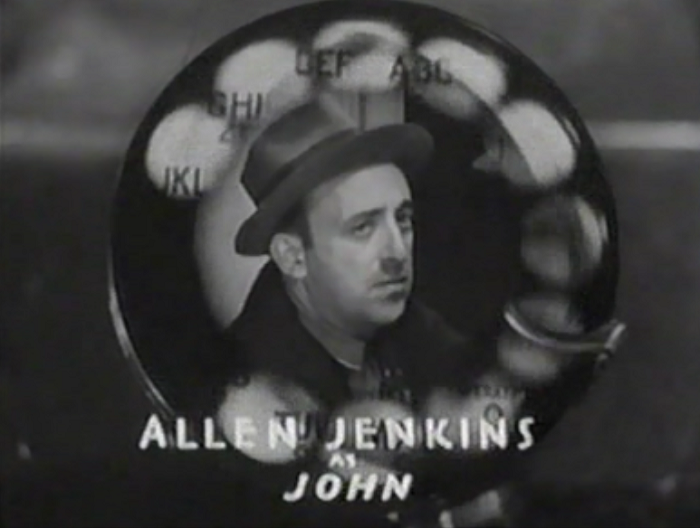 The film’s finale features the aforementioned wiretapping and a vigilante force of telephone repairman riding in to Terry’s rescue. I can only imagine a remake: a squad of goons from Google riding in on a pickup truck, ready to dispense justice on anyone who would ever mess with even their worst employee. I won’t lie; I think that’s kind of an awful vision of the world. 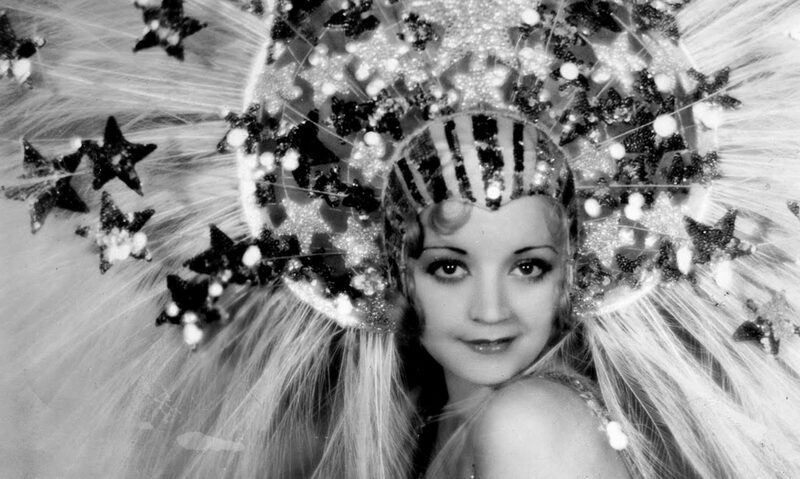 But in the early 30s, a corporation could be a community, a guy was a guy and a dame was a dame. While this film may be a prototypical Warner Brothers movie full of spice and wit, it’s lack of verve and structural problems revert it to a disappointing snoozer. The film’s original title was Hell’s Bells, which I’m sure got kiboshed by the PCA pretty quickly even if it is more evocative of the movie’s content. This sets up a two-fisted melodramatic finish that only proves that the film had to end sometime. The plot is pure B-grade but the breezy, sleazy tone of the first half elevates the film for a while. It’s little more than a programmer but when a studio can program something like this with the Warner Bros. stock company it’s bound to be entertaining regardless. 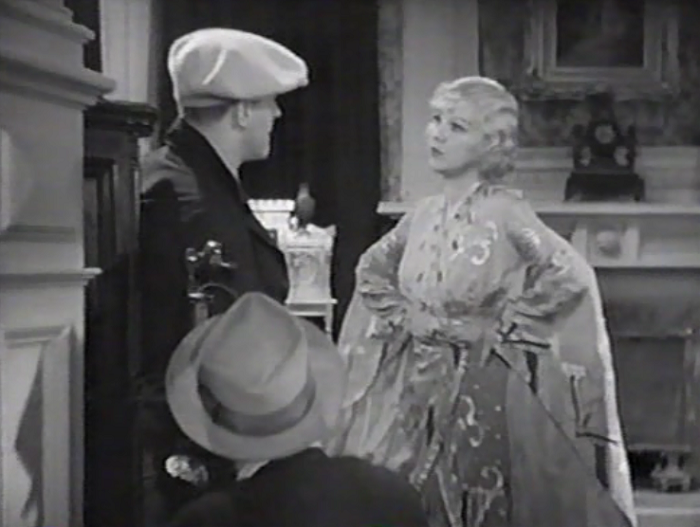 The Hollywood Revue is also quite annoyed about the lack of Farrell, saying that her entire character was irrelevant to the story. True that. Sleeping with a guy just to get a phone line. Why, I never… realized before how much I want to go into the phone business. Cliff at Immortal Ephemera has a bunch of newspaper advertisements on hand for back when this was featured during Glenda Farrell day on TCM. 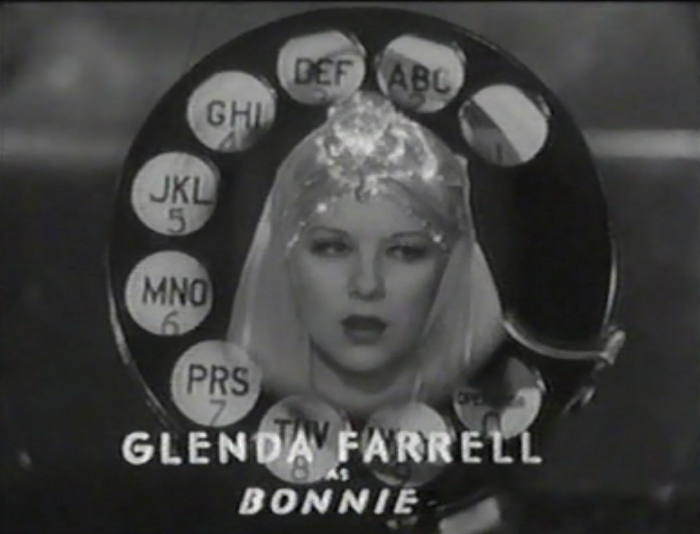 (And I imagine it was a clerical error that lead them to pick this over, oh, any other Glenda Farrell movie.) The ad brags that the film has “211 laughs in 69 minutes”, but I don’t get paid enough to put that to the test. My wife’s opinion: if you changed the music during the Blondell/O’Brien romances scenes to something more ominous, you wouldn’t have to change anything else to make it a horror film. Lastly, a bit of trivia on this film: Joan Blondell’s last scene of her in bed was shot in her home when she was actually bedridden, recovering from an appendectomy. For many of us, this means that this is the closest we’ll ever get to being in Joan Blondell’s bedroom. This film is available as a double feature with Havana Widows over on Amazon and Warner Archive. Great post! Can’t believe how many revealing shots of Blondell directors managed to sneak into her pre-Code movies. 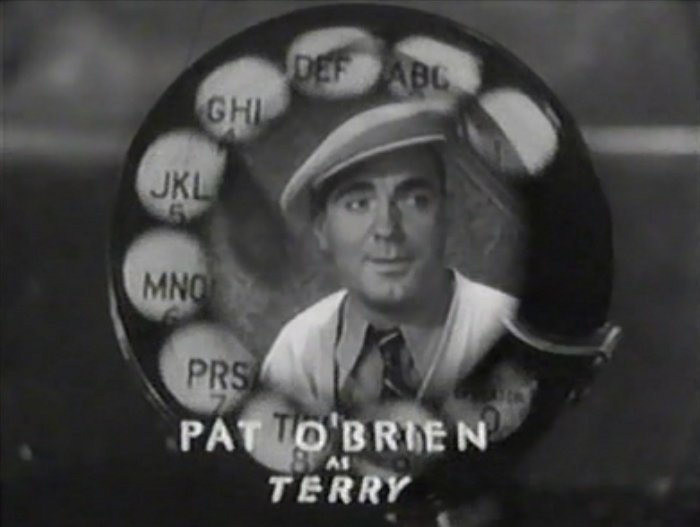 I’ve occasionally found Pat O’Brien bearable in his pre-Code films, such as his Hildy Johnson in the 1930 version of The Front Page, but only just. 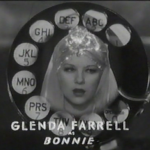 It does sound like Glenda Farrell is wasted, though – why not do an entire movie built around her character using phones in her psychic business (I’m SURE Warner Bros could have come up with a plot line for that). Thanks! And, yeah, it wasn’t just her movies– promo material of Blondell also usually involved skimpy outfits. 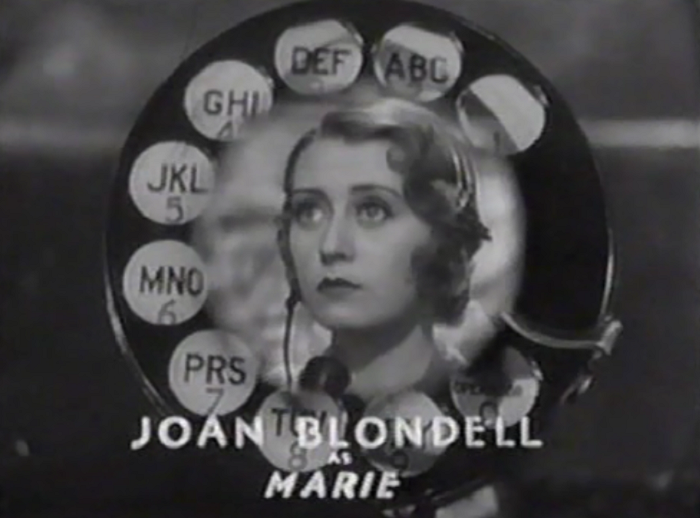 Warner Brothers knew what Blondell fans wanted. 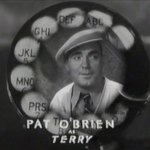 I like Pat O’Brien on occasion– Angels With Dirty Faces, for example, But I just get the feeling in 1933/34 whenever they had a script that Cagney refused to do because it was too crappy, they just stuck O’Brien in in his place. So I guess I just like Pat O’Brien better than you. He’s still a pale imitation of Cagney, but I like him nonetheless. He can rattle off the lines as fast as the fastest of them. And the cast is SO good that I found myself enjoying the movie just because of who was in it. I mean, you’re right about everything you say about this one, but even so, I still wound up on the “like” side of the meter. After all, don’t you have to award bonus points for the whole “need longer cords to reach the beds in the brothel” bit? 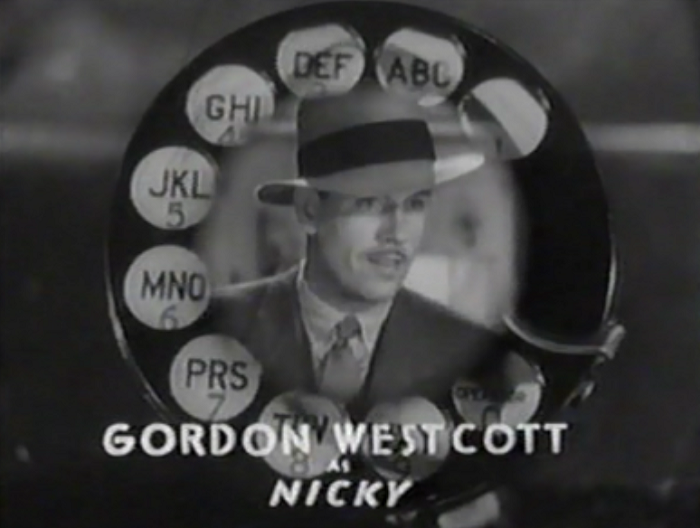 The phone cord bit is funny, but it also comes in the first ten minutes of the movie. 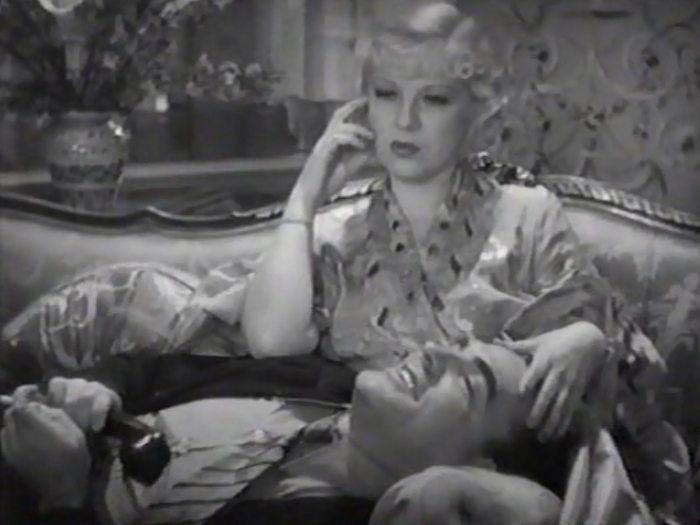 When the film spends the second two acts as Pat O’Brien and Joan Blondell recreate Sleeping With the Enemy as a comedy, it’s hard to still give the movie much credit for it. I haven’t seen this one, but have seen another great pre-Code about telephone engineers released the following month, Wellman’s crime drama ‘Looking for Trouble’ with Spencer Tracy and Jack Oakie as best buddies. 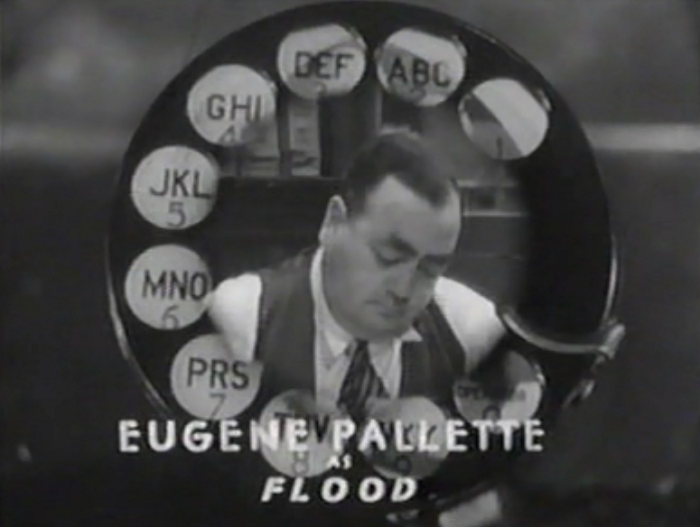 Phone repairmen were obviously flavour of the month (s) in February to March 1934! Wow. What a weird subgenre. I’ll have to look for that one! Love it! (but then, you are always a 10) – but really, is anything with that Warners stock company ever really bad? If so, I haven’t found it yet. Thanks for coming by Marsha!